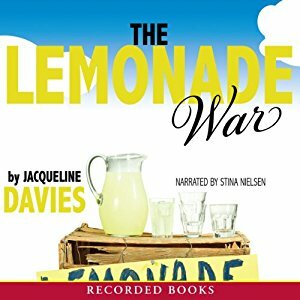 This engaging tale by Jacqueline Davies is “filled with real-life problems that relate to math, getting along with siblings and friends, [and] dealing with pride” (School Library Journal). Evan’s little sister Jessie may be a smartypants, but he usually doesn’t mind her. That is, until he hears Jessie’s going to skip third grade and be in his year at school. Now, with tempers flaring, their friendly lemonade-selling competition is turning into an all-out war. The Kingston Public Library is a member of the Old Colony Library Network.